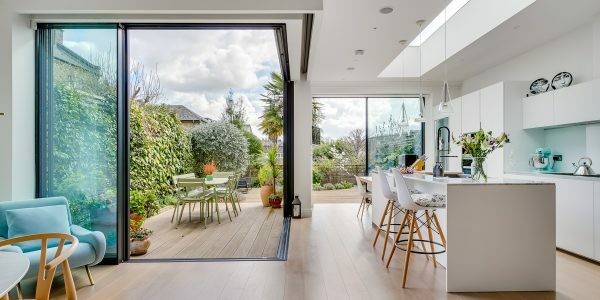 If you’re tired of staring across the street at a mirror image of your own Victorian terrace and not ready to trade London’s lights for greener pastures, then this substantial house with wonderful westerly views over Wandsworth Common’s green expanses could be just the move for you. 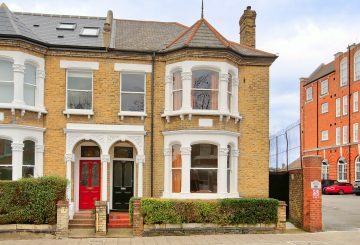 With generous proportions over four floors (including a full basement conversion) plus potential for a fifth, it is suited to a large family. 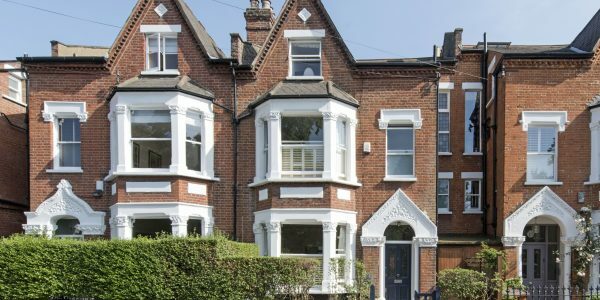 It’s close to Northcote Road’s multitude of attractions, highly sought-after schools & approx. 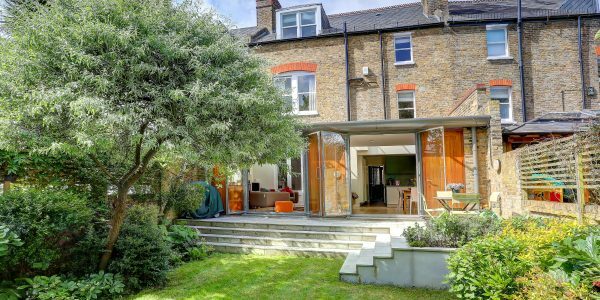 half a mile from Clapham Junction’s direct trains to The City/West End. 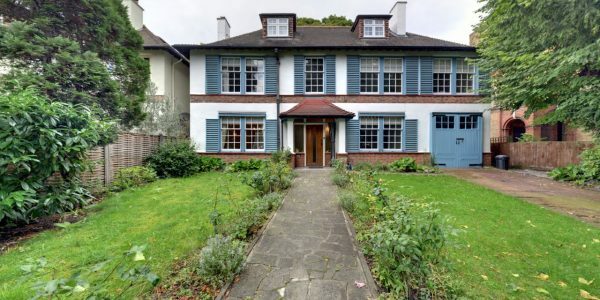 Set behind a smart front garden, this substantial family house has an impressive double reception room on the ground floor together with an extended kitchen/breakfast room. 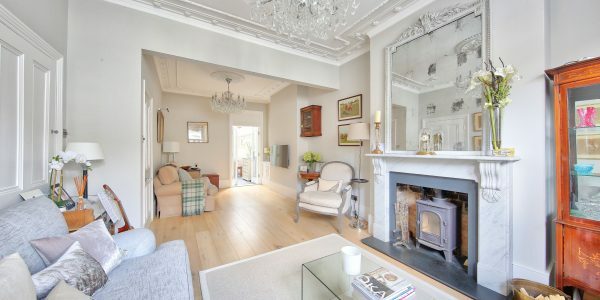 The two halves of the double reception room have dividing doors to separate them, if required, and both have ornate original fireplaces and high ceilings. 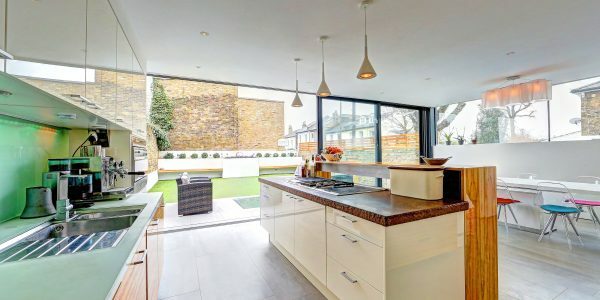 The rear kitchen, extended to the side, has a beautiful Smallbone kitchen, Miele integrated appliances and a large central island. 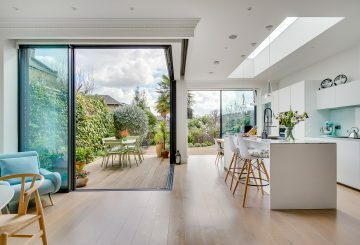 Bi-fold doors open into the secluded rear garden which has handy side access from Kelmscott Road. There is also a downstairs cloakroom/WC off the hall. 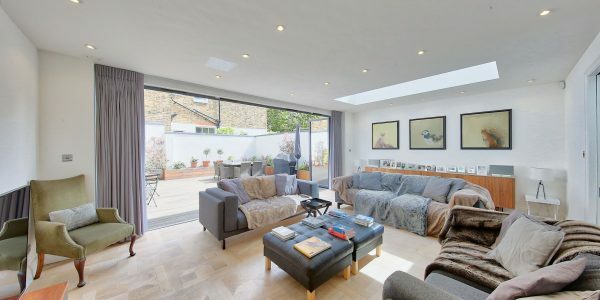 A superb recent basement conversion with excellent ceiling height hosts a spacious media/playroom with large front light-well and excellent built-in storage. 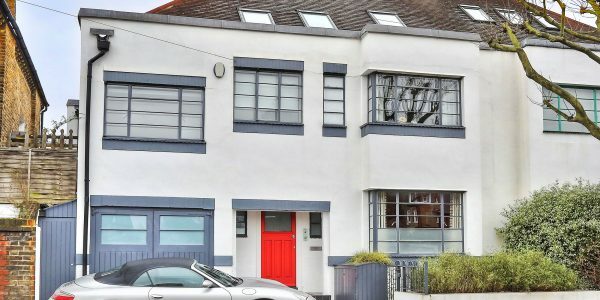 To the rear it has a guest/nanny bedroom with en-suite shower room, plus a thermostatically-controlled wine cellar and a utility room with an ingenious “laundry chute” from the upper floors. The remaining five bedrooms and three bathrooms are spread over the upper floors of the house. On the first floor is an impressive master suite with walk-through dressing area, and en-suite bath/shower room with large walk in shower. 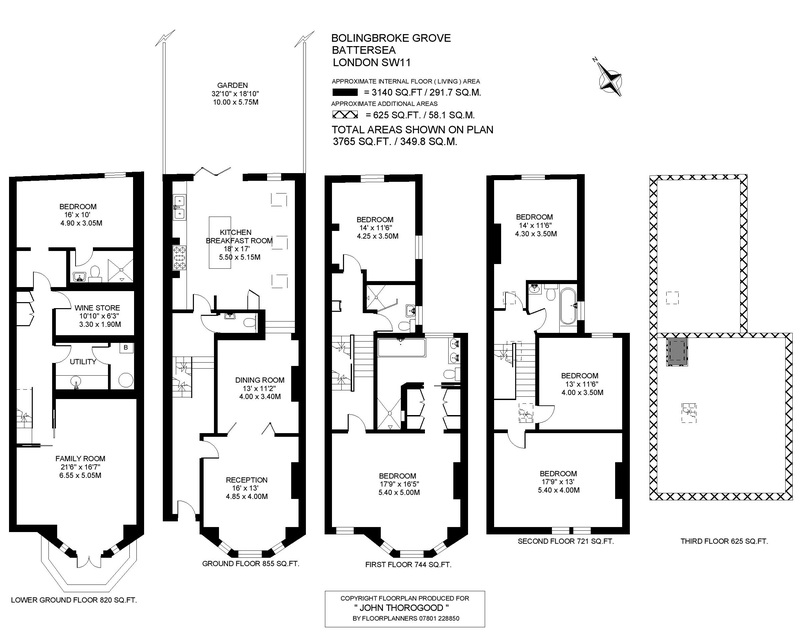 To the rear is a further double bedroom and adjacent shower room. 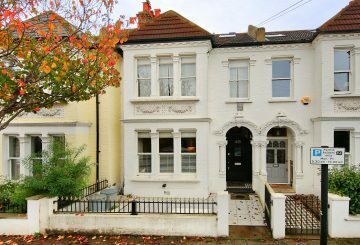 On the top floor are three more spacious double bedrooms plus a family bathroom. 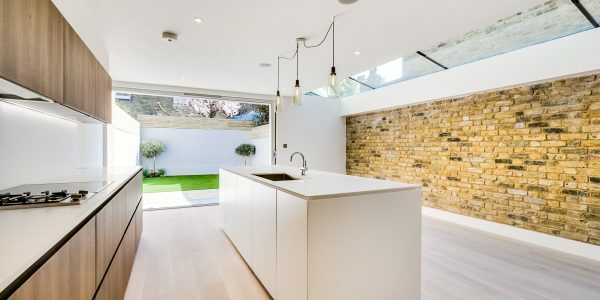 There is the potential to further extend the house into the loft spaces – both front and rear – to create an entirely new fifth floor, subject to planning permission which would have commanding views both over the common and towards The City at the rear. 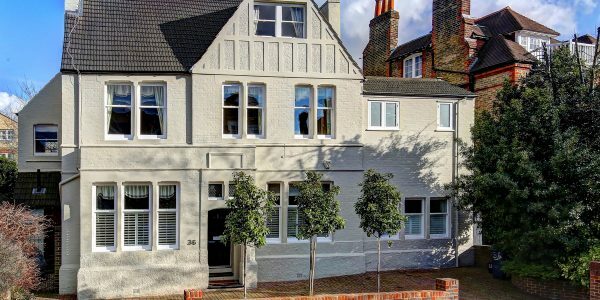 As the house overlooks Wandsworth Common, there are magnificent views from all the West-facing rooms. 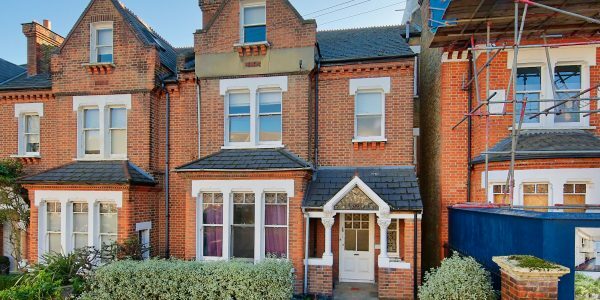 Transport links are within half a mile at Clapham Junction and the Northern Line can be accessed via Clapham South tube station. 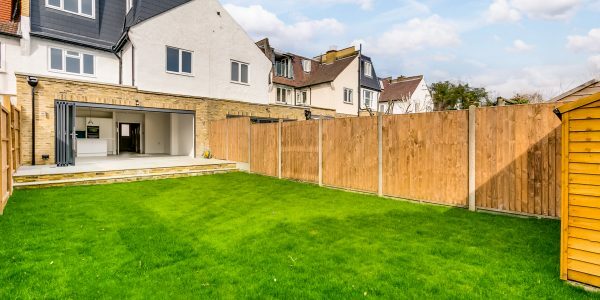 The houses lies within the catchment of Bolingbroke Academy Secondary school and is close to the highly-rated Belleville and Honeywell Primary Schools. 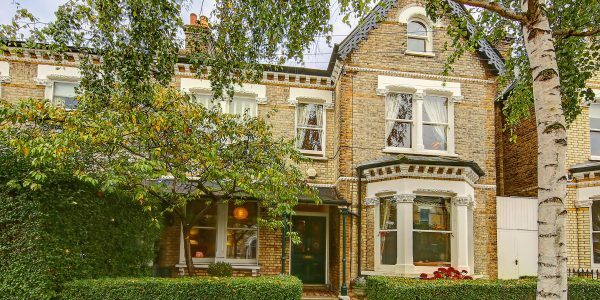 Northcote Road with all its shopping, eating and drinking choices is two hundred metres away.